Atherton Material Handling manufacture and supply new and pre-used conveyors to businesses throughout the UK and abroad supplying anything from a simple gravity roller track to bespoke conveyor systems. We also offer a range of ancillary equipment including benches, trucks & trolleys, mezzanine floors and partitioning. We have an extensive Conveyor Hire / Machine Hire department which specialises in placing high quality equipment within businesses on short, medium and long-term machine hire and lease contracts, whether you need it urgently or in advance of a planned project. If you or your company handles materials or packaging, Atherton’s Material Handling can help with our Machine Hire services. 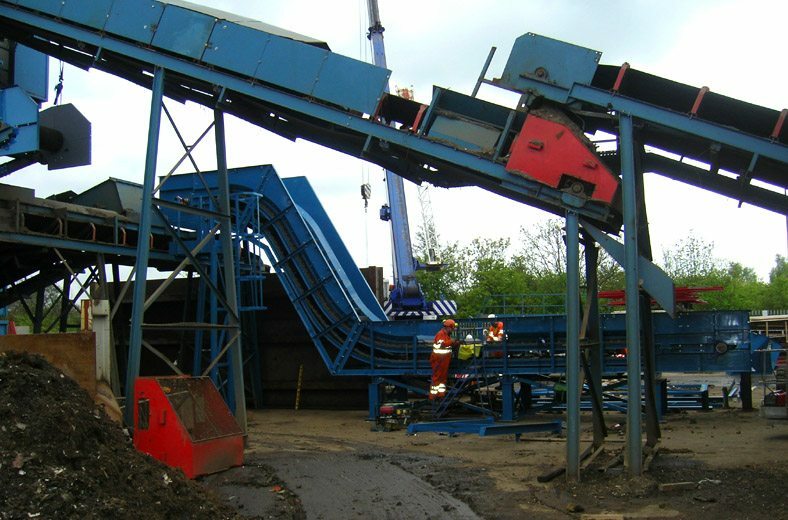 We also hold a large stock of Used Conveyors that are refurbished to a high standard. Am I limited to the components or systems I see on your website? Not at all. AMH offers complete flexibility and modularity. If you need a configuration that’s not listed, just ask, we offer fully bespoke solutions. Are AMH conveyor systems compatible with other systems? Yes. We offer full, bolt-up compatibility with most leading brands. As in, same beam dimensions, t-slot to top of belt (TOB) dimension, etc. Our devices work with many pallets, our pallets with many devices, etc. How does your pricing compare to other market offerings? AMH offer a premium bespoke product with more features, configurability, and flexibility than any other system on the market. However, we are able to offer this product at a very competitive price to other major brands. What are your typical leadtimes? Because we build your system with our in-house, digital manufacturing equipment, we can offer almost limitless configurations as standard products, with delivery as fast as a few days depending upon workload, size of order, etc. Further, our configurator generates a complete BOM, assembly drawings, cut lengths and even recommended spare parts. So, in most cases, we don’t need to run an assembly through engineering and we can go right to the fabrication and assembly process. How do I replace the belt? That is a great question and one of the design features that makes Glide-Line maintenance friendly. Almost all maintenance can be done from the top of the conveyor. This means that you can loosen a few screws, pull the end caps, bearings, slider bed, and drive assembly straight up. This comes in particularly handy when it is integrated into a machine structure. Will AMH take on projects that require full integration of a conveyor system? Yes. AMH will work with the customer to provide whatever level of services required; from component(s) only to turn-key systems. The customer is in charge and AMH will always provide good advice to the customer before and during the implementation of the project. Is there a concern about pulley teeth jumping with the use of timing belts? No, we use a steel reinforced timing belt with adjustable snubber rollers that gives us 192 degrees of timing gear wrap and 22 tooth engagement at all times. What are the weight limits of AMH Conveyor systems? Does custom equipment require more time to complete? Yes. This is due to the engineering and approval process to ensure the equipment meets all of the customer’s requirements. It will also take an extended amount of time to fabricate due to building the equipment for the first time. Is AMH qualified to engineer custom machines and material handling equipment with unique specifications? AMH has fully qualified engineers on staff to ensure that we meet all customer specifications. AMH has been designing and fabricating custom machines and equipment for more than 35 years. Our customers will testify to our success. Is custom designed equipment more expensive than standard, mass-produced equipment? In most cases, yes. However, custom-designed equipment can be cost effective if the design improves productivity over the standard offering. There have also been projects where AMH has been able to reduce overall project costs by value-added engineering. Many times we have provided customers with what they needed, instead of what they wanted or asked for, with less cost and a more satisfied customer. If I have a unique application, do I need to supply a design to AMH before I receive a quote? Not necessarily. AMH has the capability to design the equipment for your project and take full responsibility for the functionality of your unique application. AMH will need assistance from you to ensure that we meet all requirements relating to the project.